Our "I Love You" curling ribbon is perfect for use at any party or event! With 20 yards (60 ft.!) of ribbon this roll will last for plenty of fun. Constructed of high quality poly this ribbon can be used for more than just balloons! 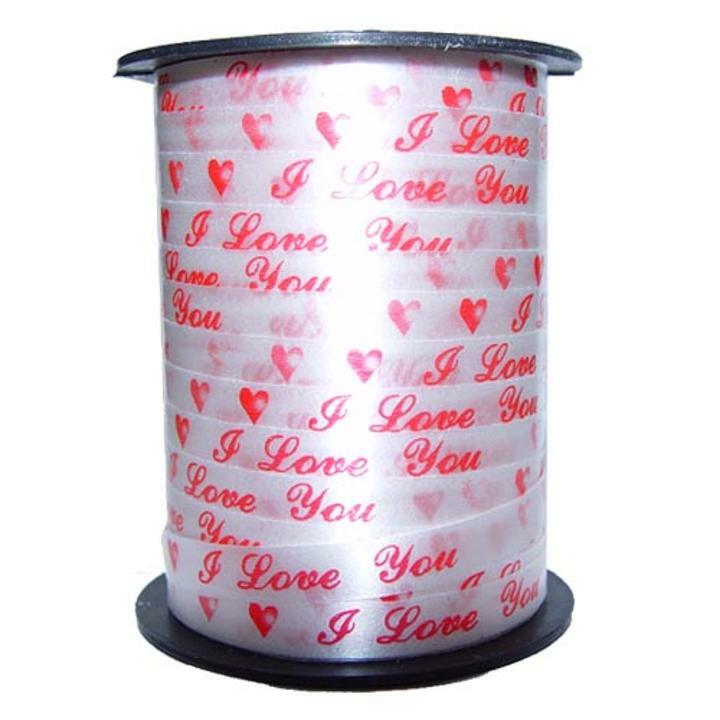 This roll of printed I love you party ribbon measures 3/16" wide and can be cut to any length!